This entry was posted in Blog and tagged Ebay counterfeit goods, Excessive Waste, Louis Vuitton, Rubbish, Waste. 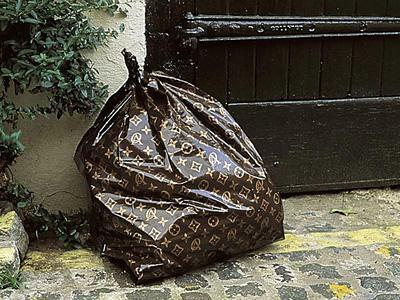 Wow… Â´this looks interesting and like trash bag of Louis Vuitton…Expensive waste ;O))! hahah I was going to say the same… expensive waste bags!